On Veterans Day, The Michigan Pedaler would like to show its gratitude to veterans and active military members by honoring their service to our country with a special promotion. On Sunday November 11th, The Michigan Pedaler will run special rides for veterans and their guests free of charge. Veterans may choose the time they would like to ride. Each veteran may be accompanied by a guest of their choice. 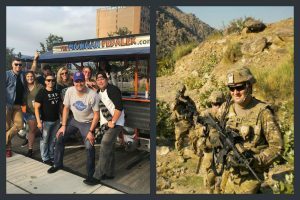 Veterans and their guest will board one of the The Michigan Pedaler’s fleet of party bikes with other veterans and for two hours, pedal through the City of Detroit, visiting two bars as well as stopping for photos at landmarks. Per The Michigan Pedaler’s usual rules, veterans can also bring their own beer, drinks or snacks for the ride. 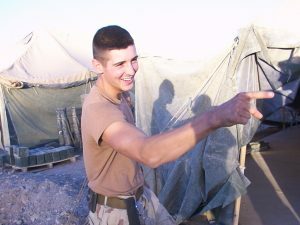 Michigan Pedaler driver Scott when serving overseas as an Army Ranger. The Michigan Pedaler employs two veterans, Scott and Rich, as part of their all-star team of drivers that interact with guests and help create a fun atmosphere while navigating rides through the city. Registration for this offer must be complete by Wednesday, November 7, 2018. There is no on-site, day-of registration. All veterans and guests must be 21 years or older to participate. Further details will be provided via email at a later date. 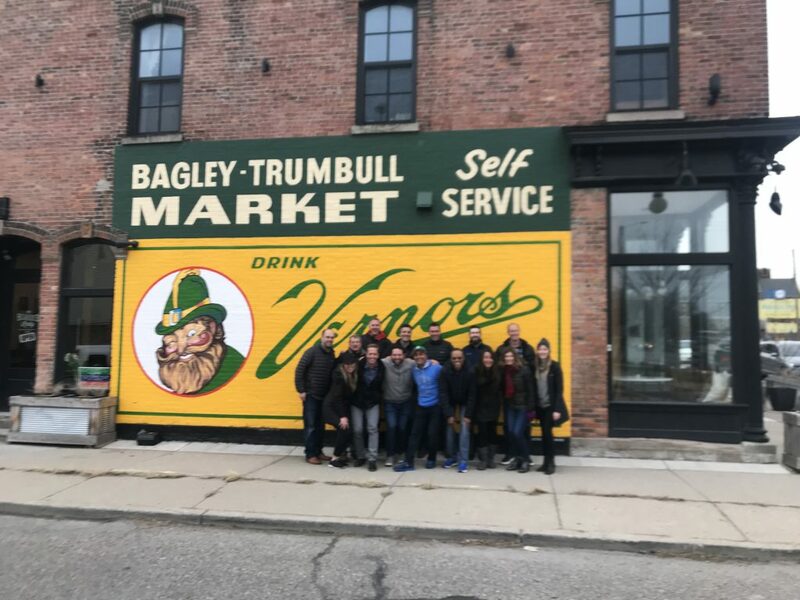 LEFT: Michigan Pedaler driver Rich poses with a group after a tour. RIGHT: Picture of Rich in Kunar, Afghanistan (2012). Click here and sign up for yourself and a guest at the time slot of your choosing. You will be asked to provide your name, email address, and military branch in which you served. 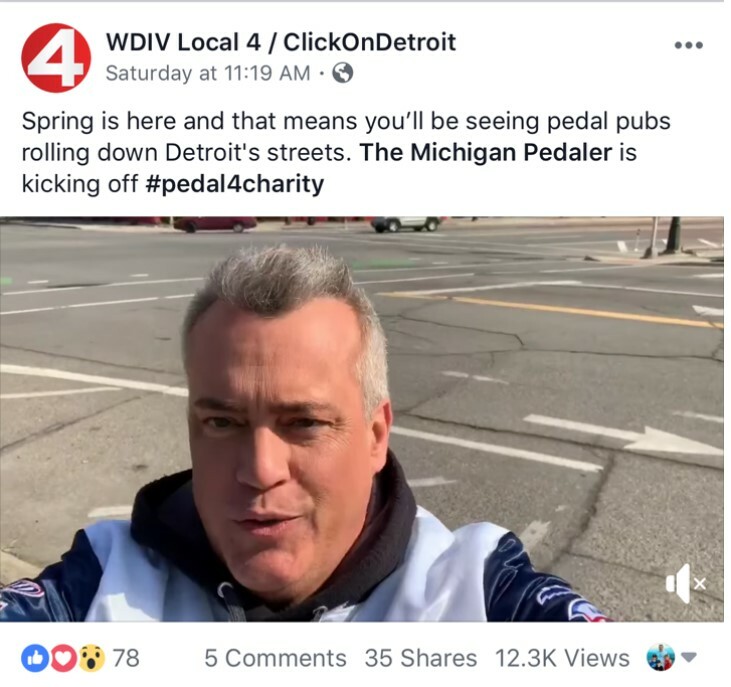 The Michigan Pedaler will send you an email with the details of where to go and what to bring shortly after you sign up. Please bring proof of service upon arrival. Enjoy a pub crawl around downtown Detroit with other veterans, active service members, and their guests!